The government intends to have 50% of 18-30 year olds in higher education by the year 2010. With the Buy-to-Let market seemingly over saturated, a steady and buoyant student buy-to-let market is one that still offers the potential of good returns. There are multiple reasons as to why the student buy-to-let is a worthwhile investment. UCAS, the University applications agency, has seen a year-by-year increase in applications. The Increased student numbers are fuelling a rush to build. It is a well-known fact that in today’s competitive market, universities are struggling financially, which is having knock-on effects. In addition to the increased numbers of students, massive student housing shortage and lack of investment in new housing initiatives offered by the universities, the benefits of private investment has never been better. In some student cities throughout the UK, you can see the private developers building high-rise student apartment blocks as they have latched onto this investment opportunity. Just the other day, I was at Manchester Piccadilly station and out of nowhere, there was a modern, high-rise student apartment block that had sprung out of nowhere to obscure the usual landscape view of the city! University town = students = £££!! Well, not necessarily. This book will provide an intensive look into letting out your property to students and by the end, you will feel much more confident in what type of student you want, which area and what kind of property will best fit. The idea of this book is to assist you in your choices and to act as guide. You should keep in mind that there are roughly 200 institutions of higher educations in the UK; some of which are placed in cities where the number of students exceeds the number of local residents, and in other cases, institutions which have been discarded outright in this book due to various reasons e.g. not enough students (or projected number of students) to make the investment worthwhile or sustainable. Students typically reduce costs by sharing and minimising personal expenditure. Consequently, student houses can improve higher than average yields by maximising the available space. On a less rosy scenario, one must also take into consideration the responsibilities of renting to students, such as higher maintenance; furnishing costs; increased wear and tear, when compared to a professional couple for example. 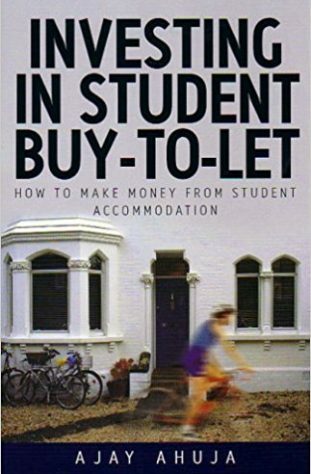 All these issues will be detailed throughout the book, and at the end, you will be much more confident in buying the perfect property and reaping the benefits of student let property.